Rachel Weisz stars in Roger Michell's adaptation of the classic novel by Daphne Du Maurier. Orphaned Englishman Philip (Sam Claflin) seeks the truth about the sudden death of his guardian. 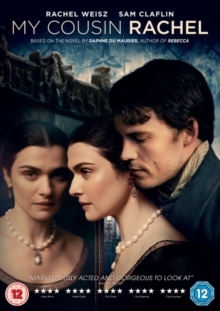 As he gathers the facts he begins to suspect that his cousin Rachel (Weisz), the widow of his late guardian, may be responsible for his death. As he gets closer to his mysterious cousin however, deep feelings begin to develop and he finds himself falling for her mesmerising guise. The cast also includes Holliday Grainger, Iain Glen and Simon Russell Beale.